Hong Kong’s Victoria Harbour is a busy water channel of passing ferries and ships. 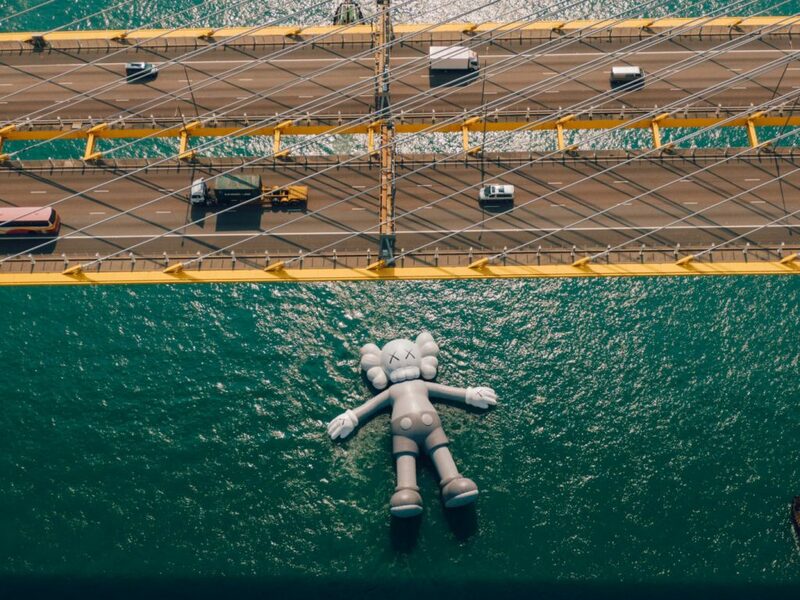 Starting with March, 2019, a massive inflatable floating sculpture joined the same waters. 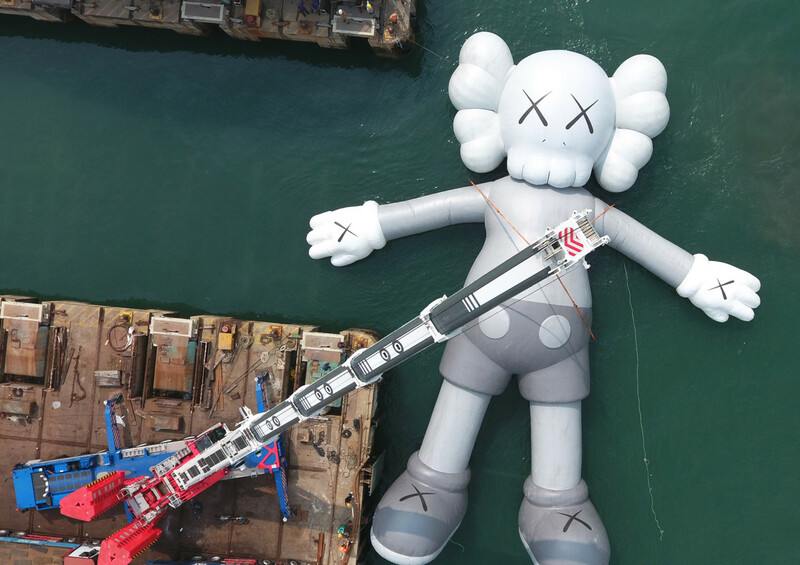 “Companion” is the signature character of american artist KAWS aka Brian Donnelly. 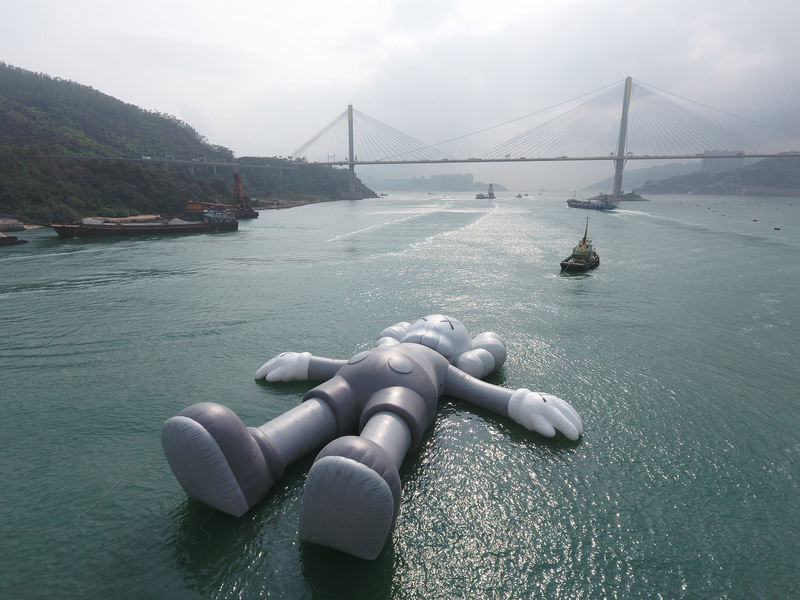 The enormous inflatable sculpture now bobs gently in the water, arms stretched out and facing the sky. 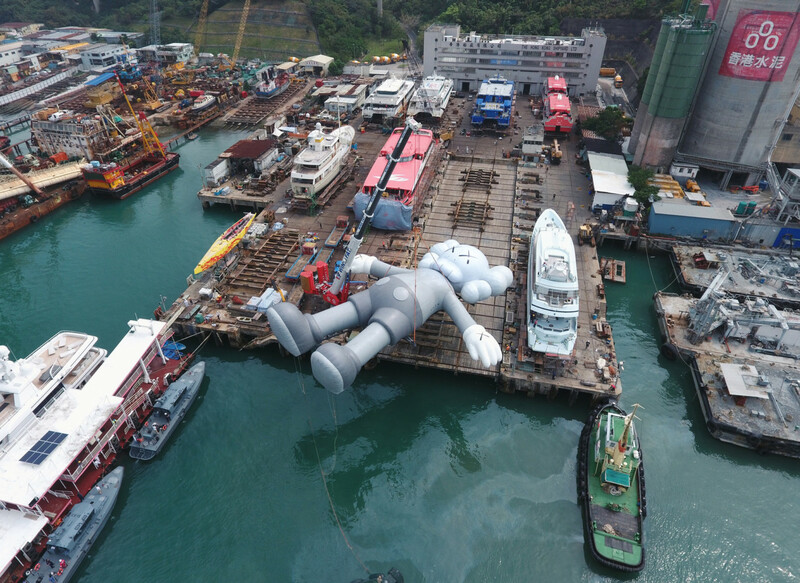 Called KAWS:HOLIDAY, the 37-metre/121-foot (about the length of three double-decker buses) piece is floating on its back into the harbour and stationed it off Hong Kong’s busy Central district. The sculpture weights more than 40 tons, thanks largely to the steel pontoon it’s affixed to. 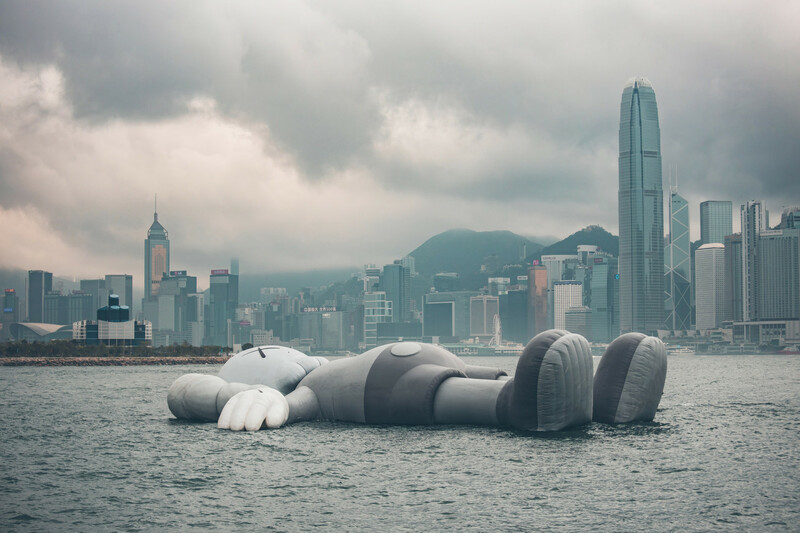 Artist Brian Donnaly produced this amazing floating installation with long-time collaborator AllRightsReserved — same Hong Kong-based studio that helped turn Dutch artist Florentijn Hofman‘s giant inflatable rubber duck into a viral sensation. 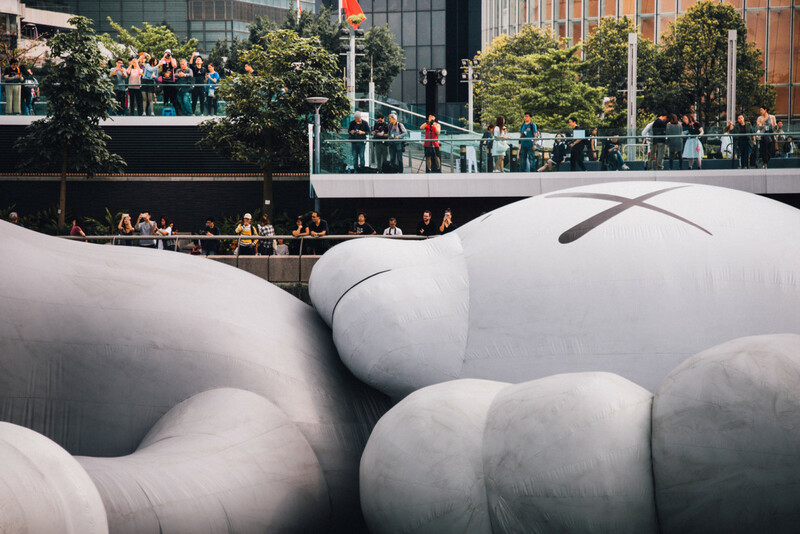 KAWS hopes his work will help people to relax. Please have a closer look at the pictures below and don’t forget to.. relax. While you’re still here, don’t forget to check out our hand selected ART projects.